The countdown to fall has begun with school in many are school districts getting ready to begin in a few weeks. But in the meantime, it’s time for the Montgomery County Agricultural Fair with plenty of animals, Italian sausage sandwiches, fried Oreos and funnel cakes. But if you aren’t up for fun down on the farm, there’s plenty of other things to do in the DMV. This weekend, Yellow and Green line trains will operate at regular weekend intervals. Orange, Silver and Blue line trains will operate every 20 minutes and Red Line trains will operate every 24 minutes between Shady Grove and Glenmont with trains running every 12-14 minutes between Farragut North and Rhode Island Avenue between 9 a.m. and 9 p.m. 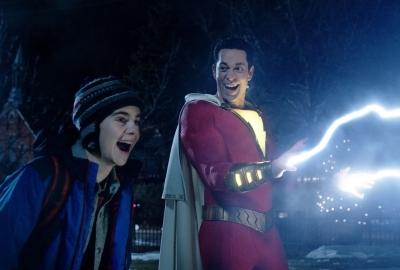 Looking for family friendly entertainment this weekend? 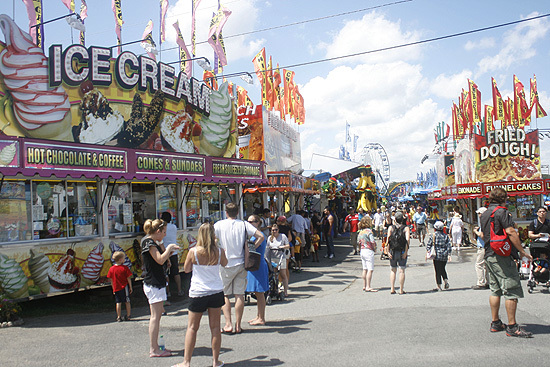 Load the kids into the minivan and make for I-270: That’s the surest way to find the Montgomery County Agricultural Fair, which features a huge midway plus more than 2,000 animals, monster trucks and deep-fried curiosities. Special attractions, which are NOT included with admission include a truck and tractor pull on Monday, Monster Truck Madness on Wednesday and Thursday, and a demolition derby next Friday and Saturday. There is a free skid steer rodeo on Friday, a draft horse pull on Saturday, a draft horse and mule shown on Sunday and truck pull on Tuesday as well as ZuZu Acrobats, a comedy hypnotist, racing pigs and goats and a magician all week long. Animal and other exhibits, except commercial exhibits, do not open until Sunday. Aug. 14-Aug 22 from 10 a.m.-midnight daily at the Montgomery County Fairgrounds, 501 Perry Parkway, Gaithersburg. The carnival area is ope from 3 p.m.-midnight on Aug. 14 and noon-midnight the rest of the week. Admission is $10 for adults and free for children 11 and younger. A season pass with parking is $75 and three-day pass with parking is $45. On-site parking is $10, but free parking and shuttle service is available from Lakeforest Mall. 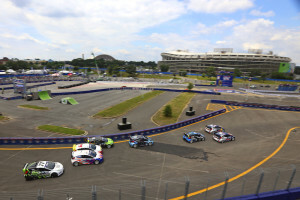 After taking over city streets last June, the Red Bull Global Rallycross heads back to the nation’s capital for another event in Washington, D.C. 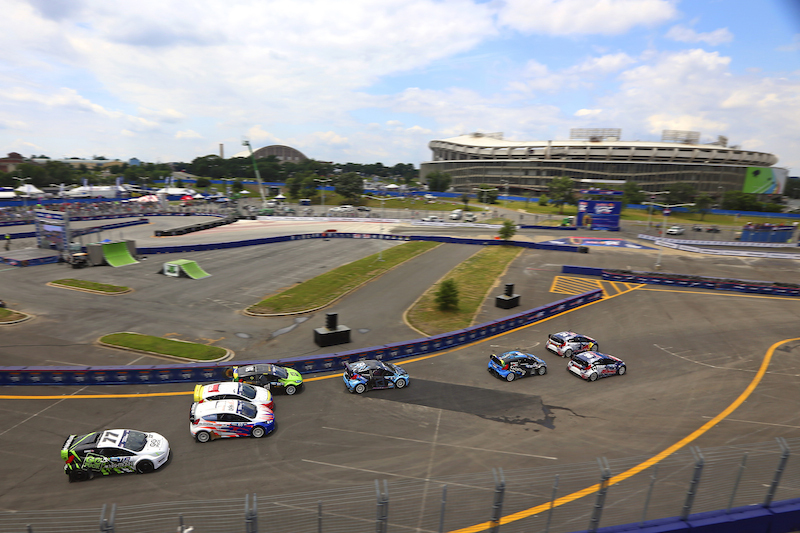 This weekend’s race at RFK Stadium features 600-horsepower cars racing around a mixed-surface track with sharp turns and a 70-foot jump. Aug. 14 from 11 a.m.-8 p.m. and Aug. 15 from 10 a.m.-5:30 p.m. at RFK Stadium Lot 8, 2400 E. Capitol St. SE. Tickets are $45-$75 for two-day passes, $25-$35 for Friday and $40-$50 for Saturday. On its summer tour of major league baseball stadiums, the Zac Brown Band will bring its Jekyll & Hyde Tour to Nationals Park outfield with another popular country crossover group, the Avett Brothers. 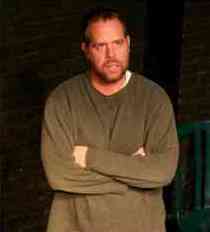 Brown has been mixing in the hits he’s known for, such as Chicken Fried, with such newer songs as the single Homegrown and his cover of Jason Isbell’s Dress Blues. The Avetts, meanwhile, mix things up from night to night, pulling from nearly 15 years of playing together. Aug. 14 starting at 7 p.m. at Nationals Park, Nationals Park, 1500 S. Captial St. SE. Tickets are $51.50-$108.50. Enjoy live music by the Southern Maryland Jazz Orchestra at Live Music on the Plaza at National Harbor. The orchestra is an all-volunteer organization dedicated to performing contemporary big band jazz. 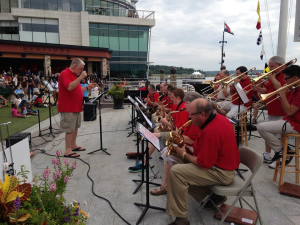 A part of the Southern Maryland Concert Band organization, the SMJO performs jazz, rock and swing music in the American “Big Band” style and tradition that began in the 1930s and continues right up to the present day. Current repertoire includes tunes by Carlos Santana, Van Morrison, Lady Gaga, the Beatles, Black Eyed Peas, Adele and others. Aug. 14 from 7-8:30 p.m. at The Plaza at National Harbor, 165 Waterfront St., Oxon Hill, Md. Admission is FREE! By the seventh day of D.C. Beer Week, you’ve probably consumed a few more calories than you meant to. Get rid of them during a special Bikes & Brews brewery tour sponsored by City Bikes. 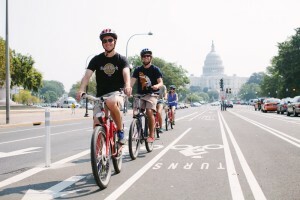 Beer-loving cyclists will leave the Adams Morgan bike shop heading for the Hellbender and Atlas breweries for tours and tastings, and then to Glen’s Garden Market for $4 draft beers. Maps and guides will be provided, but riders need to bring their own helmets, water bottles and locks. 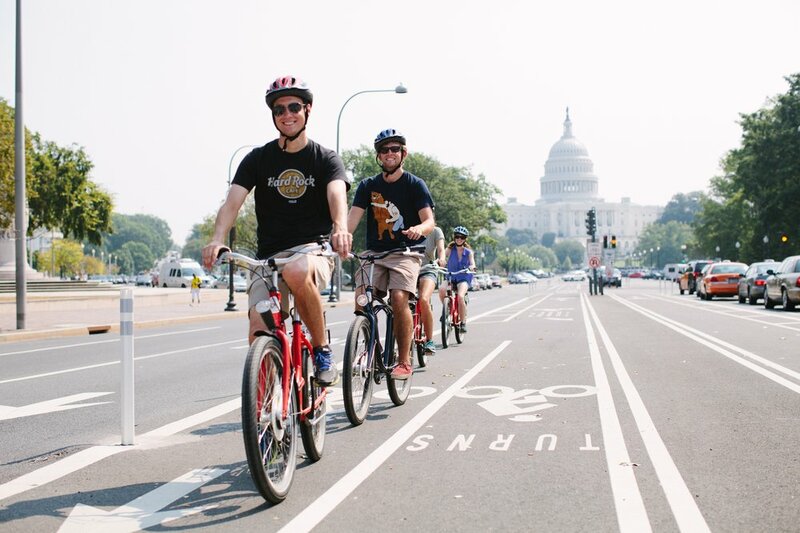 Aug. 15 from noon-4 p.m. departing from City Bikes, 2501 Champlain St. NW. Admission is FREE, but advance registration is requested. 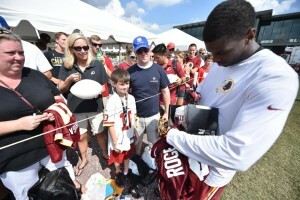 With the start of football season only weeks away, this is your last chance to see the Washington Redskins practice and clamor for autographs from your favorite players at this year’s Redskins Training Camp. Get an up-close look at quarterback Robert Griffin III’s progress, new players on the offensive and the overhauled defense. Savor the moment, Redskins fans: Every NFL team is tied for first in the standings, nearly every football player is healthy and in great shape, and unbridled optimism is the dominant emotions. Aug. 15 from 11:30 a.m.-4:30 p.m. with practice at 1:35 p.m and Aug. 16 from 9:30 a.m.-5 p.m. with walkthrough at 10:35 a.m. and practice at 3 p.m. at the Bon Secours Training Center, 2401 W. Leight St., Richomond. 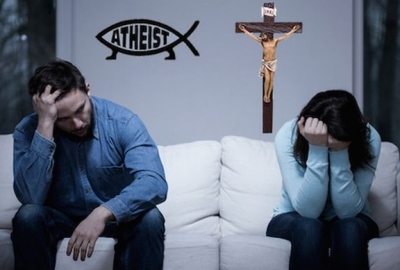 Admission is FREE, but pre-registration is required. The DMV is full of talented comedians, musicians and performance artists, some of the best of which have performed as part of the monthly Capital City Showcase variety show. This weekend, the show celebrates its fifth anniversary with set from musician Don Kim and comedians Jenn Tisdale, Pete Bergen, Shahryar and Kasaun Wilson. 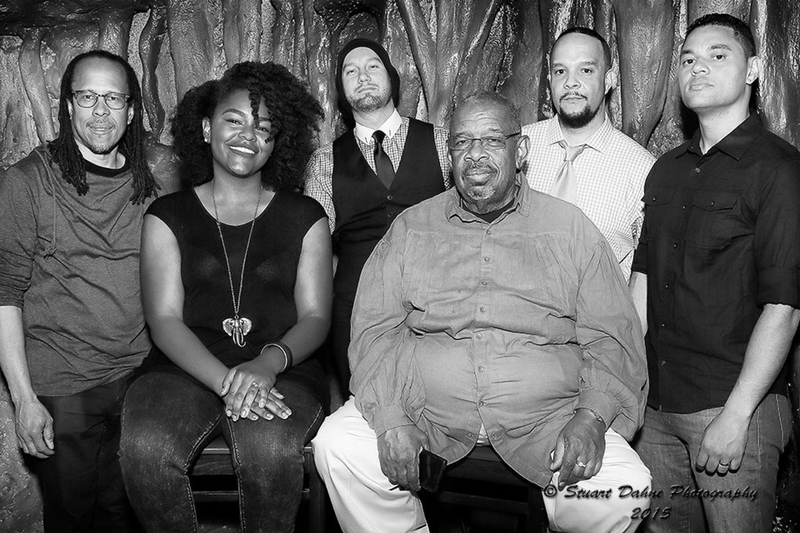 Aug. 15 at 10 p.m. at the D.C. Arts Center, 2438 18th St. NW. Admission is $10. If District jazz band Sine Qua Non has a reliable signature, it might be the timbre of Victor Provost’s steel-pan sparks raining down over Michael Bowie’s bass lines, which can swerve and slink and pop. There’s an airiness to the group’s approach, but it can tighten up on a groove, too. Onstage, the band is mixing its new material in with the old, and a new album is expected this autumn. The band performs in the gardens as part of Hot 5 @ Hill Center, perfect for an evening picnic with family and friends. Beer, wine and other concessions will be available for sale. Aug. 16 at 5 p.m. at the Hill Center at the Old Naval Hospital, 921 Pennsylvania Ave. SE. Admission is FREE! 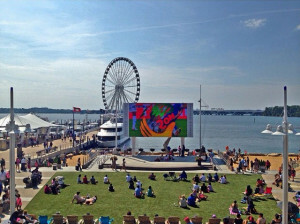 Nothing says summer like an evening under the stars, and there’s no better way to enjoy the season than Movies on the Potomac at National Harbor. 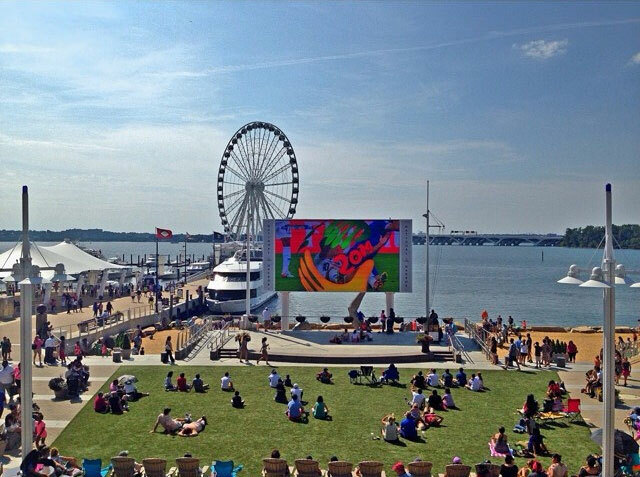 Pack your chairs, grab food to go from one of the area restaurants and meet at the Plaza’s jumbo screen. This week’s screening is Back to the Future Part II. Aug. 16 from 6-8 p.m. at National Harbor’s Plaza, 165 Waterfront St., Oxon Hill, Md. Admission is FREE!